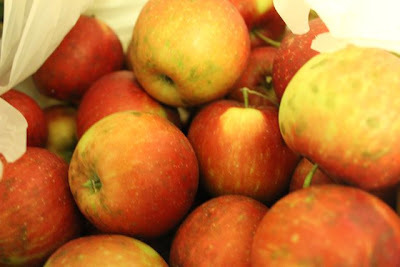 I love that time of the year when the apples are ripe and fresh fruit is plenty. One of my favorite memories from home is mom and dad’s apple tree. You see this tree (like many trees) would produce every other year. One year the crop would be huge and the next it would be smaller. I was lucky last year to get a large supply from my mom and dad and the best part was that I was in the middle of learning and making home-made baby food. Truly the way to go! 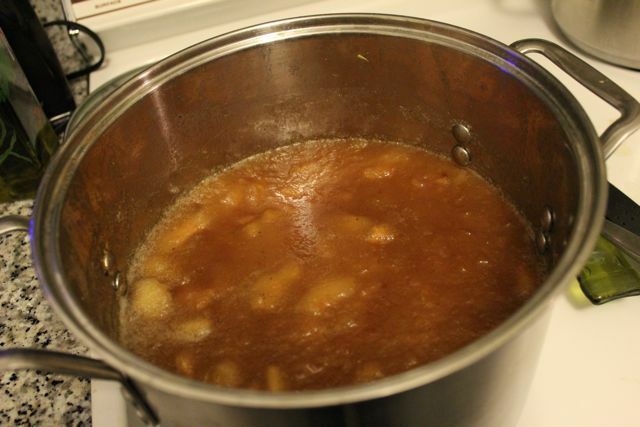 And again this year, I received a large bag of apples from Steve’s parents and knew that home-made apple sauce was the way to go! It’s super easy. First up, peel, slice, and chop your apples (removing the core). Using a large pot—fill your pot with water (just below the apple level) and add cinnamon sticks. 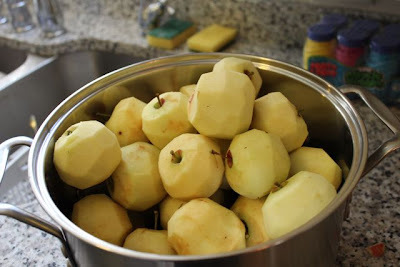 Boil the apples until they are tender. 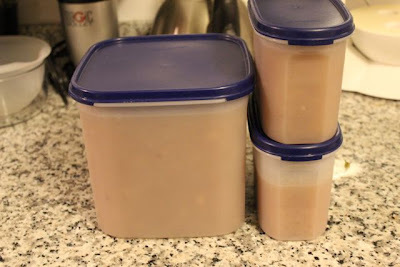 Once tender—drain off the excess water. Add seasoning (nutmeg, cinnamon, all spice) to your preference. 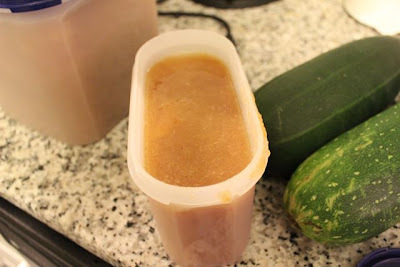 I do not add sugar, because I want me applesauce to be sugar free. Best for me, best for Steve, and best for Mur-Man. 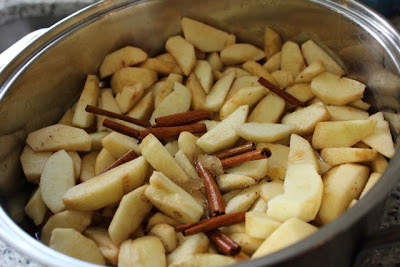 You can then run the apple mixture through a food processor until your desired consistency. I then put some applesauce in the fridge and some in the freezer! SUPPLY HUGE! SAVINGS HUGE! YUMMMMYYYY—HUGE! Yum! I made homemade applesauce last week but it never made it to the freezer. All fresh and all gone!